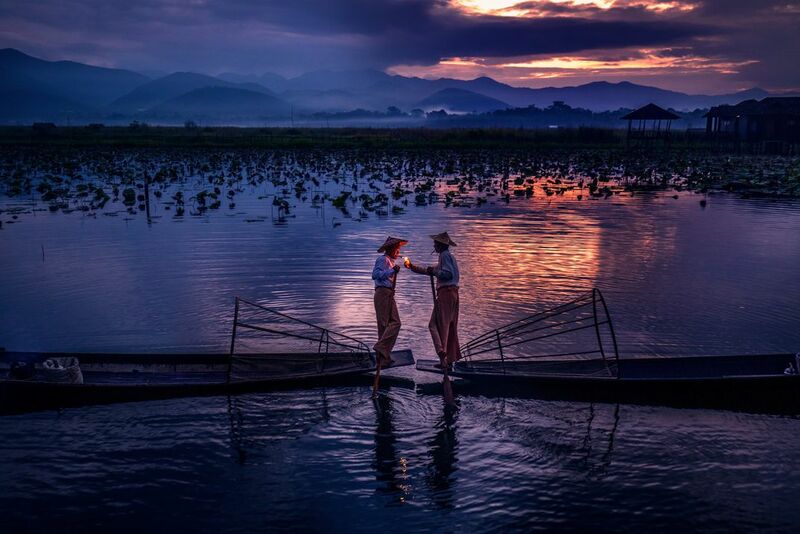 The Inle lake people stand on one leg so they can paddle with the other. The skilled technique means the fishermen can stand and look out for reeds in the water and keep both hands free to handle the cumbersome nets or these basket net that has a spear sticking through the top of the frame. Date Uploaded: Nov. 28, 2018, 7:54 p.m.